We thank Barry and Helen for allowing us to own this outstanding little girl. Cilla is a pleasure to own and has such a wonderful personality. 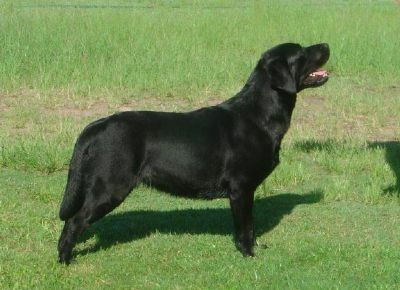 She loves the showring, and truely posesses that typical labrador temprement. Cilla is well on her way to her title and has collected several Classes in Group and 4 Classes in Show,1 Res in Group and 1 Best in Group, in her short career. She also has the perfect 0:0 hip and elbow scores and an optigen clear certificate. An asset to any kennel. 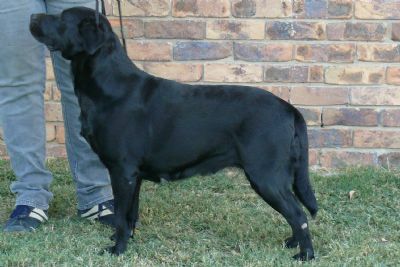 Cilla latest achievement is winning the Slingun Perpetual Trophy (to encourage up and coming young Labradors which do not have a Championship title) with the Labrador Retriever Club of Qld for 2005. Cilla achieved her title at Rockhampton in February, 2006, taking out a 19 point BOB. We are very pleased with the two dogs we kept out of Cillas first litter (Larry and Misty) and are happy to announce that Cilla has a litter of beautiful puppies, sired by the lovely Avokah Bundy Black born 5/7/09.